The buzz started with the Winter 2016-17 issue of Ugly Things Magazine excellent review of Odd Tales and Wonders and the Harvey Kubernik in depth interview with our in-house, multi-hyphenate, Travis Edward Pike. 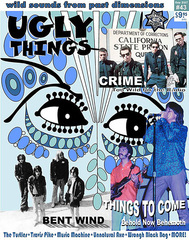 Kubernik's interview in UGLY THINGS is primarily about Pike's 1964-1974 rock 'n' roll career, but this "MORE YOU KNOW," posted online at Otherworld Cottage.com explores Pike's lesser-known contributions to the entertainment industry from 1974 to the present. Travis Pike is featured in the Winter 2016-17 issue of Ugly Things magazine in an interview by author and pop culture historian Harvey Kubernik and a review of Pike's book "Odd Tales and Wonders, 1964-1974; A Decade of Performance." 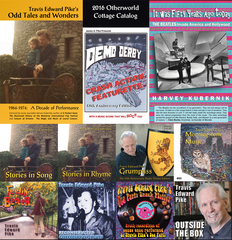 Music videos culled from the 1966 movie, "FEELIN' GOOD" are creating interest in Travis Edward Pike's recent music CD releases. Harvey Kubernik's most recent radio interviews and articles, and a preview of what's coming next, featured on the Kubernik's Korner webpage.